It is the optimal time to buy real estate. With minimum interest rates and the upward trend in the price of properties, real estate investment is the most profitable alternative. We help you find an investment for you. Making real estate investments requires strategy. The potential of the property and the previous analysis are the key to obtain benefits. If you are a private investor and you want to carry out an individual operation or if you want to participate with your capital through an investment fund. If you manage an investment fund and want to invest with guarantees. Contact us and one of our agents will guide you in choosing the most appropriate investment for your profile. A local consultant who speaks your language will accompany you throughout the process, from the choice of the property to its sale or rental. Before deciding, we will calculate the fiscal cost of the operation. We make sure that the property complies with all legal requirements and is free of charges. We will facilitate negotiation to achieve the most advantageous purchase and sale price according to market conditions. We take care of the documentation, deposit agreements, purchase agreements, so that everything is in order. If the client wishes, we manage the rehabilitation of the acquired property to increase its value and to find a buyer. Buy a flat to rent. You will obtain a high profitability with the rent and with the revaluation if in the future you opt for the sale. Invest in a new housing building or to rehabilitate, and get rental benefits or individual housing. Invests in the acquisition of a turnkey hotel, in a strategic location, for direct management or renting to a company. he profitability of real estate investment can exceed 10% per year, while bank interest rates for term deposits are between 0% and 1% and the Fixed income performance is also minimal. 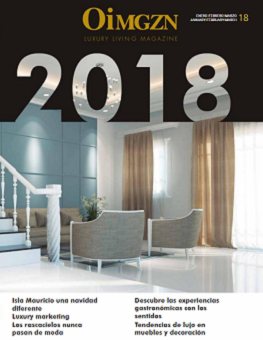 In Spain, the price of housing experiences growth of 6.8% (data from the National Institute of Statistics) and the forecast of experts is to continue increasing in the next years. pain is one of the best valued European countries for real estate investment according to the Real Estate Market Trends in Europe report (2018). This study prepared by PWC considers the perspectives in Madrid and Barcelona excellent. We are with you throughout the entire investment operation to save you time in the election and with the procedures. TWe provide all the information without small print so you can decide with discretion where, when and how to invest in real estate. We verify the profitability of each real estate investment with feasibility, financial and market studies to avoid risks. You will be able to access exclusive investment opportunities in luxury buildings located in strategic areas with high profitability. Do you want to monetize your money by investing in real estate? Request information. We will accompany you throughout the process.